This HOW-TO it's focused in Virtualization on the SPARC series, using the latest SPARC Technology (T5-2). - The server that will act as a primary domain will be a T5-2 server. 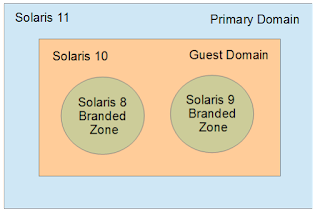 - We will create a ldom called legacy-systems , running Solaris 10 and where will run 2 branded zones (Solaris 8 and 9). 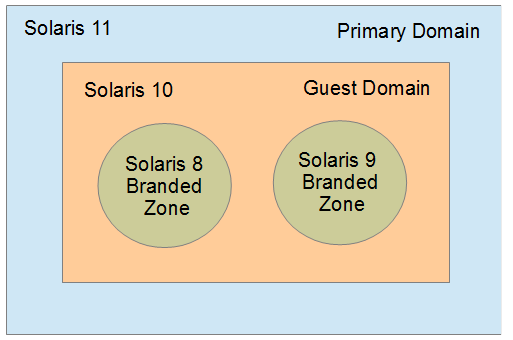 The primary domain will run Solaris 11.